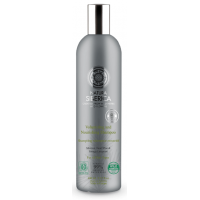 Natura Siberica Oblepikha Maximum Volume Conditioner for all hair types gives hair maximum volume, shine and thickness while protecting it from heat exposure during hot styling. 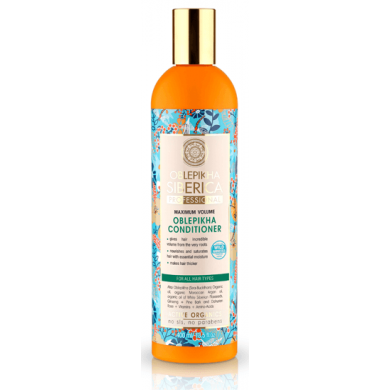 Beautyfully reviving and lifting hair from roots without weighing it down. 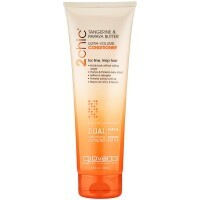 Vitamins and amino-acids nourish and repair hair. Altai Oblepikha oil, Moroccan argan oil and organic oil of White Siberian Flaxseeds hel generate keratin, which makes hair strong and shiny. 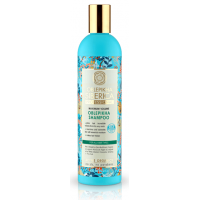 Ginseng andd Pine Bark retain moisture deep within the hair's structure. 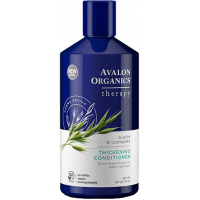 How to use: apply a small amount of conditioner to clean damp hair after shampooing. Spread evenly from roots to hair ends, leave for 3-4 minutes and rinse.